Isn’t this cover so ugly? Well that was silly. 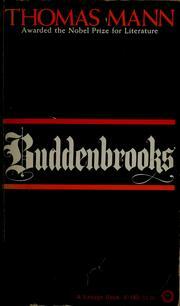 Buddenbrooks is its own thing: a novel about the slow decline of a German mercantile family. It doesn’t follow the standard naturalist model, where they struggle and struggle and almost succeed and then descend into madness and depravity. Nope. It’s pretty much a straight descent all the way through (though I think it picks up pace later…I’m only 1/3rd of the way through). You know exactly what’s going to happen. Even in its specifics, the plot has no surprises. You know the daughter is going to fall in love with someone unsuitable. You know that the husband she’s forced to marry is going to turn out to be very unsuitable. You know exactly when the patriarch will die. It’s interesting…even though the plot is very standard-issue, I don’t think the book would work without it. The plot imparts a level of acceleration that the reader requires. But on a page by page level, Buddenbrooks is effortless. I love the very particular brand of rectitude that Mann has given this family. They’re so calculating, so concerned with the family’s fortunes and its history. When the daughter even takes pride in writing her horrible marriage down in their family bible; she’s happy because the marriage was so distasteful, and yet she was willing to do it anyway. And the moral decay within the family is a subtly drawn thing. It’s not like the kids are wastrels and gamblers. They just have a little more pride and a little less drive than their forefathers. But even then, there’s a feeling like maybe it wouldn’t matter…maybe families just decline for no reason…or because of bad luck. It’s said that Thomas Mann based this account on the history of his own family, and I can believe it. There’s a kindness here that novelists don’t usually extend to members of the bourgeoisie. Because of him, most English novels tend to have a humorous element and a merry unconcern for logic. And that’s awesome! It’s what I most enjoy about British novels. French, on the other hand, is so infused with deadly seriousness that you can’t even tell when a novelist is trying to be funny (like, come on, I still have no idea whether the nuns in Les Miserables are a joke or not). But this does mean that there are certain effects–subtle movements in psychology or sociology–that are absent from most English novels. Basically, if Buddenbrooks was an English novel, one of these kids would definitely be an alcoholic. And a gambler. And that’s why we read novels from other countries.